Kimchi. Ma La. Tom Yum. Herbal Chicken Soup. 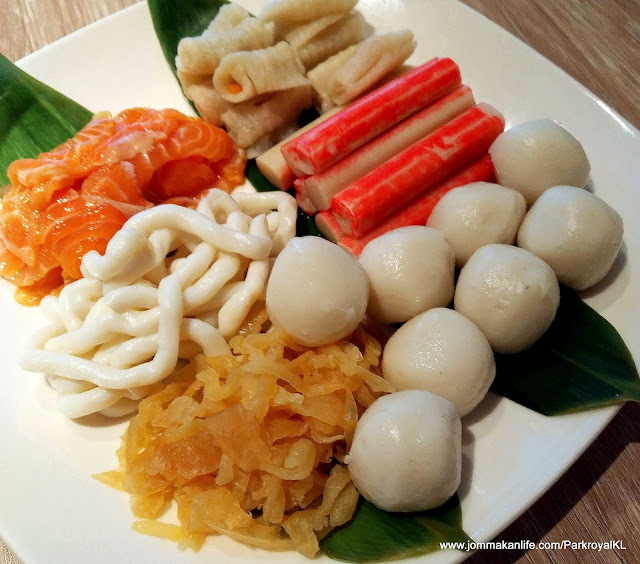 Chatz Brasserie at PARKROYAL KL aims to lure hot pot enthusiasts with its Steamboat promotion, every Sunday to Thursday for dinner. 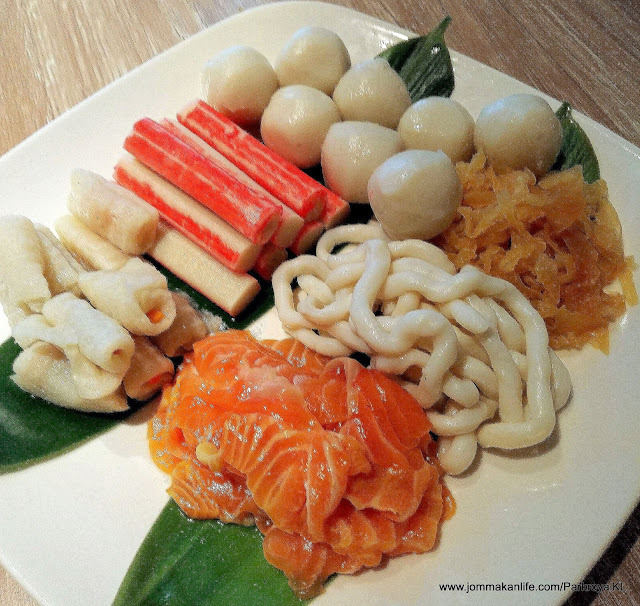 Priced at RM83 nett per person, you can enjoy the Steamboat (minimum two diners per table) from 630pm-1030pm. 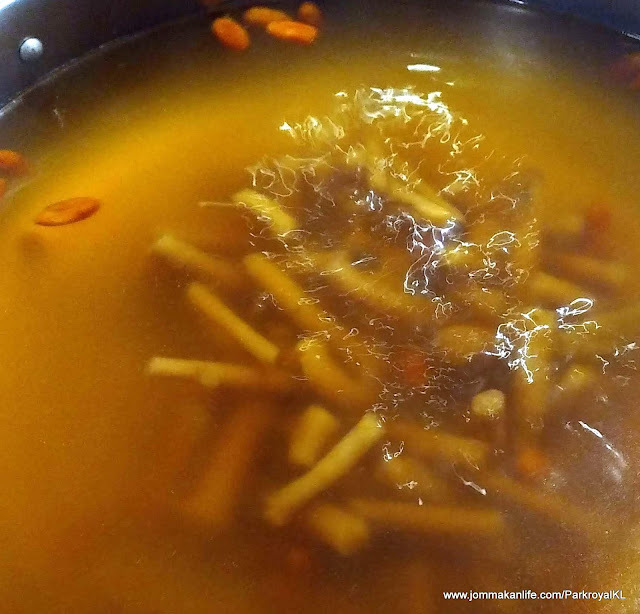 The most distinct choice of soup base is Kimchi, followed by the tongue-numbing Ma La stock concocted from Sichuan peppercorns. 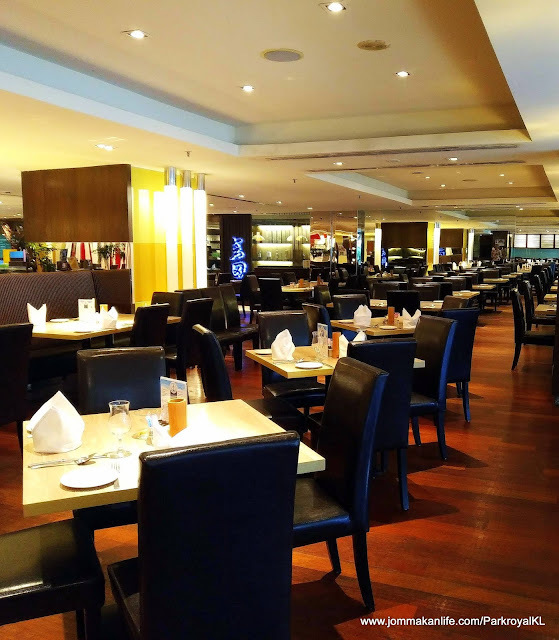 Crowd-pleasing Tom Yum and Herbal Chicken Soup are available too. Our favourite soup is the tangy-savoury Kimchi soup. Despite its oily appearance, the mildly zingy Ma La soup soon warms our hearts up with its stealthy hotness and long, lingering finish. Both the Herbal Chicken and Tom Yum gain greater appeal after the numerous ingredients enrich the initial soup base. We urge you to refrain from dumping every ingredient into the hot pot simultaneously. Strategise. When the soup comes to a rolling boil, start by adding more solid items such as assorted Mushroom: button, abalone and shitake into it. Enoki requires less time to cook so keep a close eye on this. 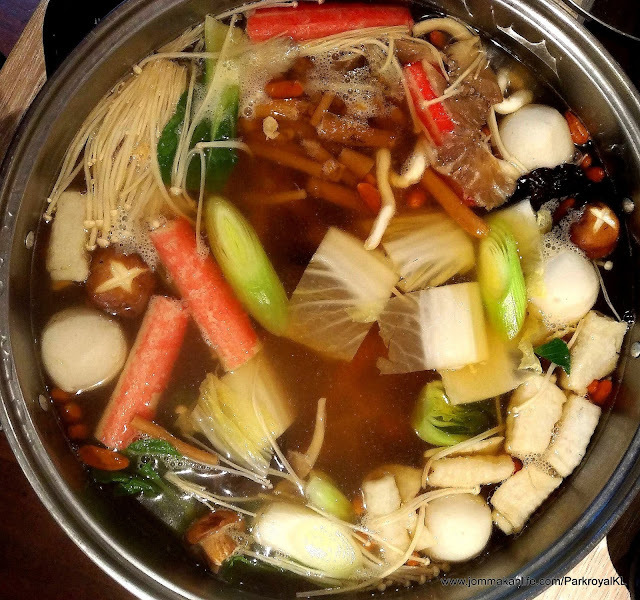 The various fungi tastes great when soused in Herbal Chicken, Tom Yum or Kimchi soup. 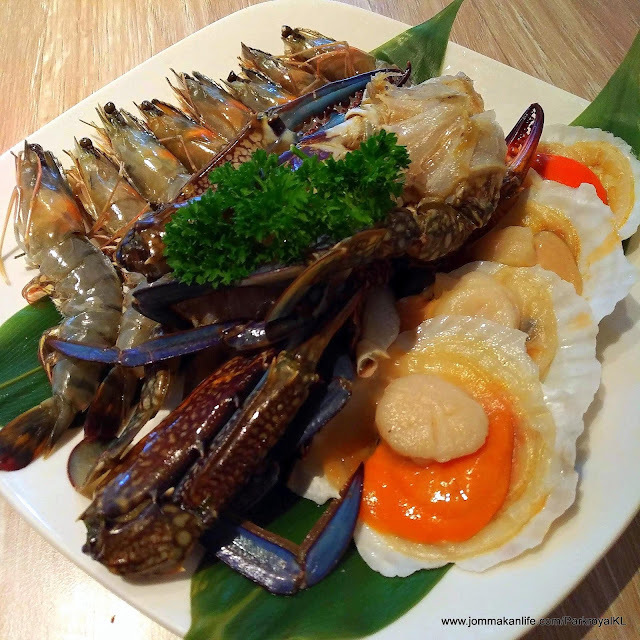 Then fish rolls and fishballs from the selection of Ocean Seafood can go in followed by the day’s catch of fish fillet, Sulu sea prawns, half shell scallops, flower crabs, jellyfish, crabsticks and Norwegian salmon fillet. 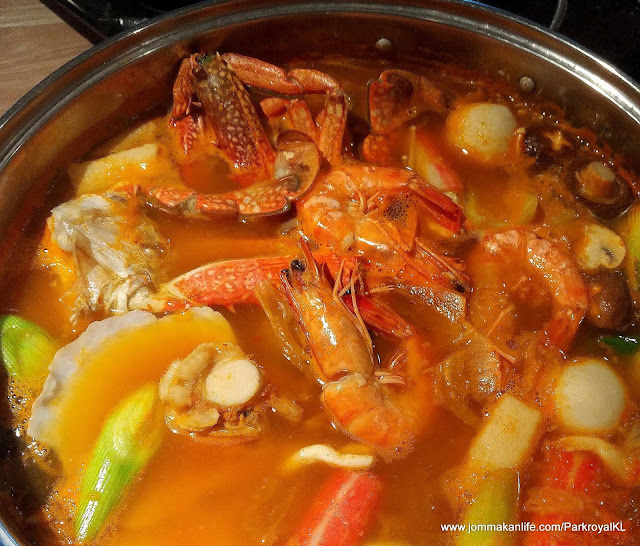 Avoid overcooking the fish and seafood in the steamboat as they taste best at the right doneness. Delicious regardless of the type of soup used, the seafood’s inherent sweetness shines clearer in either Herbal Chicken or Tom Yum stock. Also on the steamboat menu is Red & White Meat: Australian beef tenderloin and tripe, New Zealand mutton and free-range chicken strips. 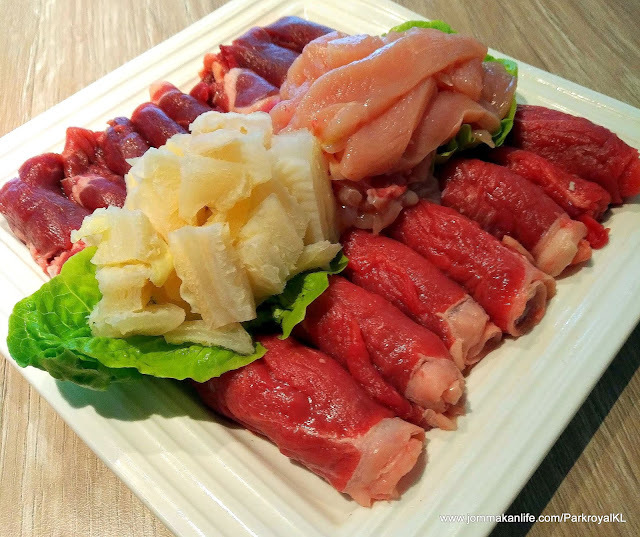 From our sampling session, the slices of gamier beef and mutton fare better in more piquant broths of Ma La or Kimchi. Timing is everything so never leave the meaty slices languishing in the steamboat too long or you’d end up with tough, rubbery meat. 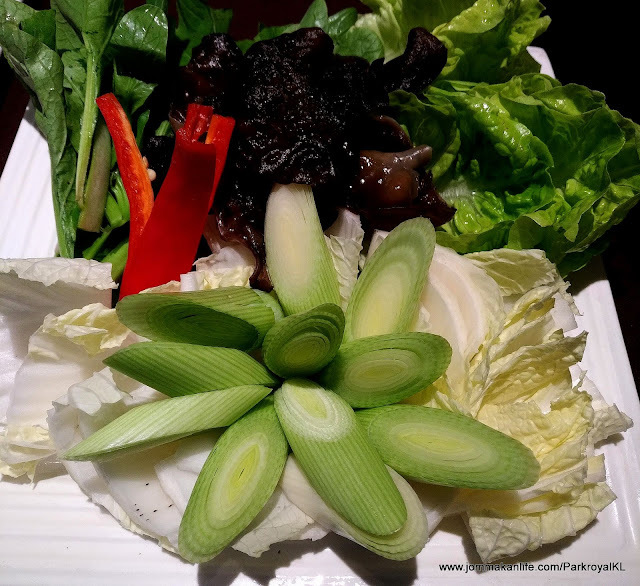 Likewise, treat the Garden Picks of Tianjin cabbage, Chinese leek, Cameron lettuce and Hong Kong choy sum with care when popping them into the hot soup. IMHO, a lightning-fast blanching will do justice. Black fungus is the only item that can withstand prolong boiling. Best soup choices? Herbal Chicken and Kimchi. Hearty eaters will find adequate substance from Fish Noodles, Glass Noodles, Meehoon (rice vermicelli), Emperor Noodles, Beancurd and Eggs. While the fish noodles doesn’t hit the mark (the Chatz team promised to make amends on this), the different noodles prove to be excellent tummy fillers as are the beancurd and eggs. 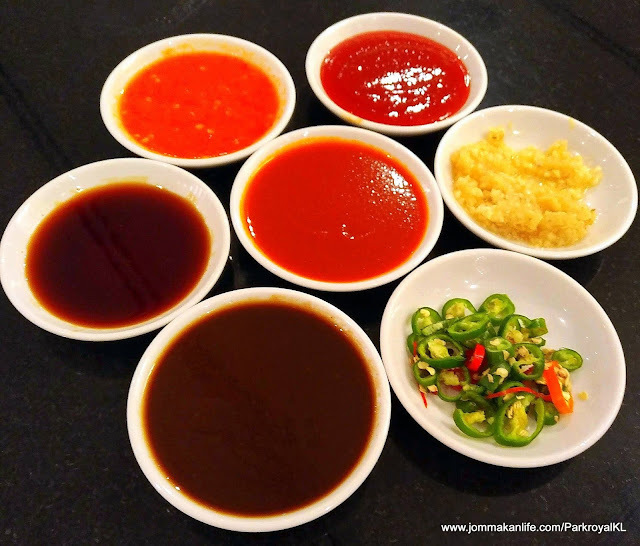 Condiments and Dipping Sauces comprise the ‘tried and tested’ chopped garlic and red chilli, house-made bird’s eye chilli dip, sukiyaki sauce and black and white sesame dipping sauce. A tad ho-hum for seasoned steamboat lovers but we presume the hotel’s main target market comprising in-house guests and foreign visitors are unlikely to fault the assortment available. 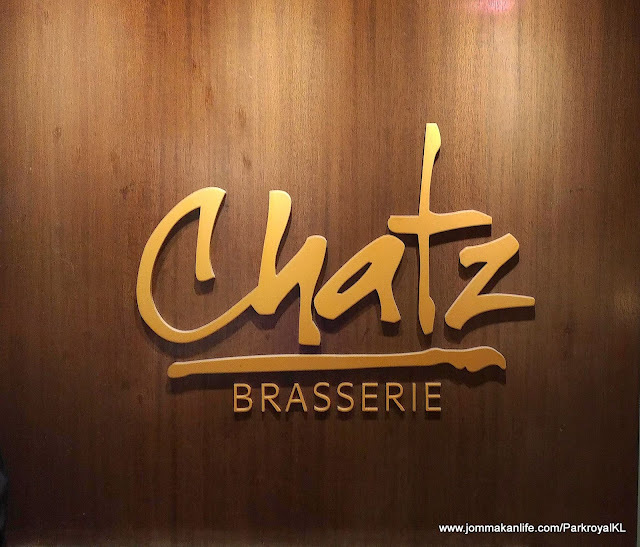 For reservations at Chatz Brasserie, call tel: 03-2782 8301. 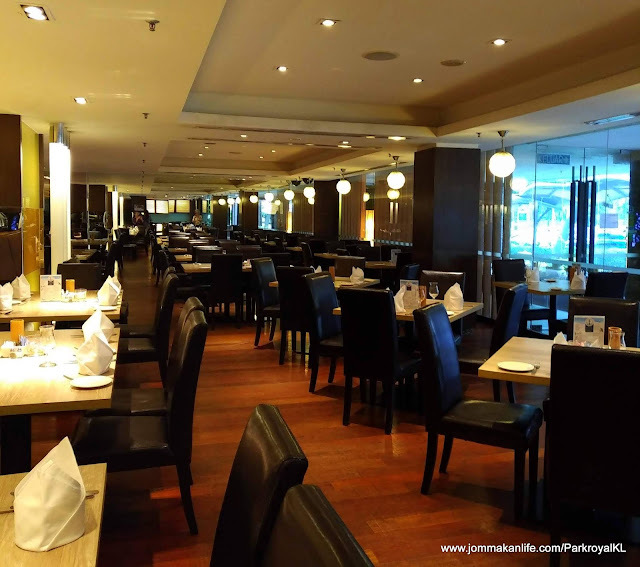 Address: Lower Lobby, PARKROYAL Kuala Lumpur Hotel, Jalan Sultan Ismail, KL.